When it comes to your car, you want it to be squeaky-clean. But when you are washing your face, you don’t want the same shiny finish. 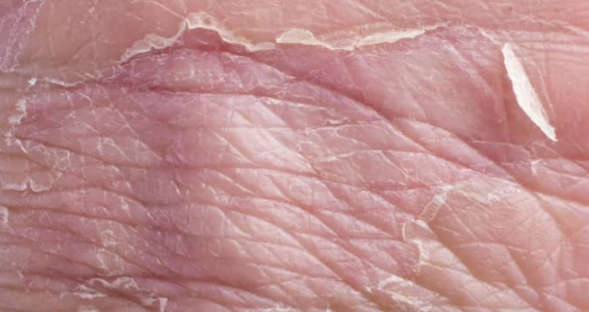 The outermost layer of your skin called the Stratum corneum, is a barrier made of dead skin cells. These skin cells offer protection for the under layer living healthy cells. The upper layer is more then just dead skin cells. It’s held together by lipids, witch are fatty compounds, that actually help maintain moisture on your skin. Anytime you are taking a shower (especially a hot one) with soap and a scrubbing device, you’re undermining the integrity of your skins upper layer. The soap and the hot water dissolves the lipids in the skin and scrubbing only hazes the process. The more showers you take, the more frequently this takes place and the less time your skin has to natural oil production. What’s more you think? The upper layer of your skin can be sloughed off by scrubbing! Exposed to the delicate skin cells underneath. The results of showering to frequently is dry irritating and cracked skin. If you want to avoid irritated skin, don’t try to get it squeaky-clean. Visible redness, rashes and dry patches, means that you aren’t washing your skin gently enough. Use only your hands or a soft wash cloth on your face, you can buy these online for a dollar. Hot water is a good way to kill germs on your hands, but the same rule does not apply on your face washing. Extreme water temperatures, including ice-cold can irritate your face. Instead, use warm water, take a bath our shower, but not longer than 15 minutes. Any longer can strip necessary oils of your skin. A gentle treatment can give the best possible results to your skin appearance.